Put this glow-boratory to the test with 20 experiments that will help you answer questions like, what makes a glowing ball bounce and, what does fake snow have in common with spaghetti? View the experiments with a hand-held black light, build a lava lamp, and create glowing alien blood. Test out projects that teach about these 9 principles of science: fluorescence, phosphorescence, chemiluminescence, bioluminescence, polymers, non-Newtonian fluids, carbon dioxide reactions, crystal formation, and nucleation. 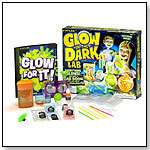 This kit includes: a handheld black-light activator, 4 glow sticks, mix-n-measure scoop, fluorescent ink, beaker, mixing cup, 3 creature molds, 2 test tubes and stand, funnel, bouncy ball mold, glow-in-the-dark powder, bouncy ball polymer, jelly balls polymer, fake snow polymer, star stickers, and a 24-page Lab Book. Enjoy the joy of skateboarding as a family with Zippy Flyer. Zippy Flyer comes in Blue or Orange. A fun and simple way to enjoy skateboarding with the whole family the way that skateboarding got started in 70’s, when everyone rode a plastic skateboarding with the newly invented urethane wheel, a special plastic that is uniquely perfect for a skateboard. Compact design makes it easy to store or throw in a bag. A perfect option for a first skateboard or a nice addition for any skateboard collection. 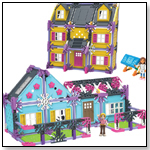 Fun for kids of all ages. 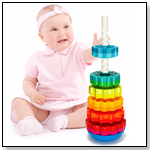 Includes: Reinforced injection molded propylene deck with hexagonal traction grooves; 59mm soft 80A durometer wheels for smooth riding on most surfaces; high quality diecast aluminum trucks; 90A durometer trucks bushing for easy turning; trucknut safety nylon locknuts; star patter steel deck bolts for maximu, support from board to trucks; and deck/truck safety nylon locknuts. 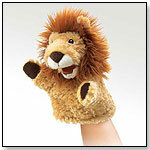 Little Lion by FOLKMANIS INC.
Folkmanis Little Puppets are small hand puppets that are perfect for younger children. This puppet is 7" tall and 5" wide. Fluffy golden lion has an orange tufted mane and expressive, movable mouth. — In a May 2012 survey, four out of 11 retailers told TDmonthly that Folkmanis was their best selling brand of plush or puppets.